The data is too big, moves too fast, or doesn’t fit the strictures of your database architectures. To gain value from this data, you must choose an alternative way to process it. 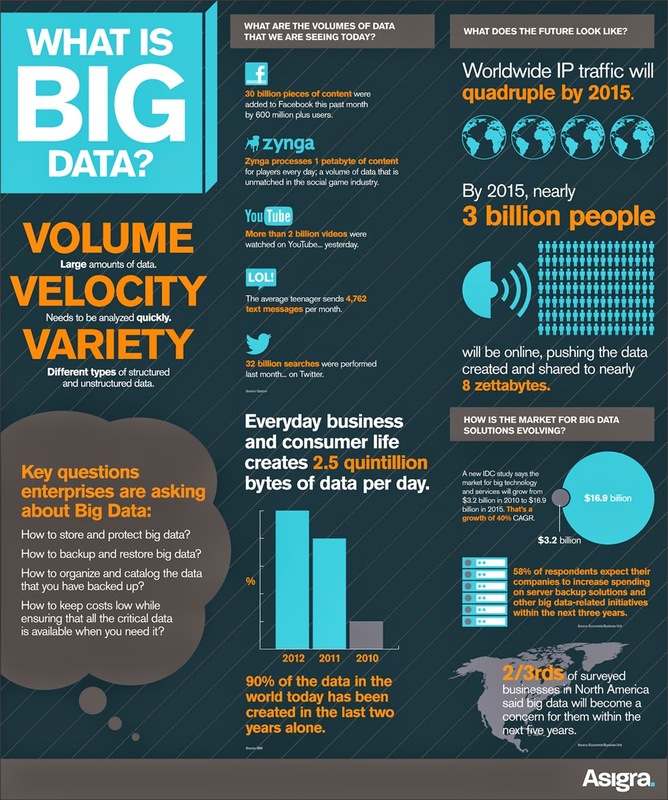 Big data is data that exceeds the processing capacity of conventional database systems. 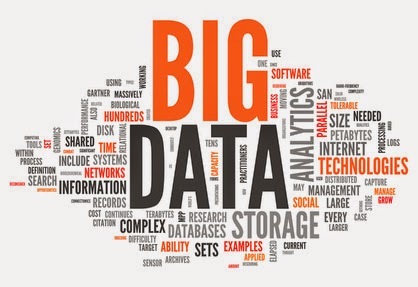 The hot IT buzzword of 2013, big data has become viable as cost-effective approaches have emerged to tame the volume, velocity and variability of massive data. Within this data lie valuable patterns and information, previously hidden because of the amount of work required to extract them. To leading corporations, such as Walmart or Google, this power has been in reach for some time, but at fantastic cost. Today’s commodity hardware, cloud architectures and open source software bring big data processing into the reach of the less well-resourced. Big data processing is eminently feasible for even the small garage startups, who can cheaply rent server time in the cloud. The value of big data to an organization falls into two categories: analytical use, and enabling new products. Big data analytic can reveal insights hidden previously by data too costly to process, such as peer influence among customers, revealed by analyzing shoppers’ transactions, social and geographical data. Being able to process every item of data in reasonable time removes the troublesome need for sampling and promotes an investigative approach to data, in contrast to the somewhat static nature of running predetermined reports. - Retrieving results from HDFS. The phenomenon of big data is closely tied to the emergence of data science, a discipline that combines math, programming and scientific instinct. Benefiting from big data means investing in teams with this skill-set, and surrounding them with an organizational willingness to understand and use data for advantage.